Garbage management is one of the major problems facing our society today. There is so much garbage from households and industries that is released into the environment. Most cities do not have proper garbage management and most of the garbage is disposed of openly, buried or burned. This has major negative environmental influence such as global warming and greenhouse effect. Global warming is a threat to the world for both living beings and plant. Lack of proper garbage management in cities is a serious problem that has led to landfills that are huge and unsightly. So what are the best way to manage garbage in cities? This is a project adopted by most cities. Although cities may not get to absolutely zero garbage, it is possible to reduce the amount of garbage released by almost 90 percent. This project encourages households to reduce garbage by using products that can be recycled. Industries are also encouraged to limit the amount of waste they produce. Treating waste from industries is also a good way to manage waste because it will reduce the effect it has on the society. Most of the garbage that is disposed in the cities causing unattractive scenes or clogging drainage systems is garbage that can be recycled. People are encouraged to separate their waste into biodegradable, recyclable and fully wasted. This helps companies managing waste in the city to properly treat each category of garbage. Garbage that can easily rot and the smell is collected often to avoid piling and attracting rodents. Hazardous and bulky waste such as electrical appliances is also collected and treated to avoid causing harm in society. The other waste that cannot be recycled is burned to produce electricity in high tech plants. The ashes that is collected from this burning plants is used to build artificial islands. Some cities also have machines that grind organic waste, microbial solution and water to create a bioliquid solution that is used to enhance the soil. These type of machine is environmentally friendly since is odourless and it does not attract pest. This helps to reduce the amount of waste given for disposal.  Recycling helps to reduce the dumping of garbage in landfills or in water bodies. Governments and private institutions in major cities are running campaigns to raise awareness on how to responsibly dispose of garbage and take care of the environment. These campaigns help people to know how to reduce, reuse, and responsibly consume to help reduce the number of items that people throw away. People are also encouraged to separate their waste accordingly. In particular, people are advised on how to reduce food waste which makes the highest percentage of waste from households. They are advised on how to properly store food and many other recipes that one can prepare with leftover foods rather than throwing them away. Creating awareness helps people to know their responsibility garbage management to ensure a safe environment for us today and future generations. Most cities have regulations in place to help curb garbage disposal and environmental pollution. These regulates industrial emissions, focus on health protection, and put strict environmental planning to enhance green urban spaces. These regulations also help to protect rivers and water bodies from untreated sewage systems and other garbage. Other cities have a decentralised waste management system that helps to separate waste into biodegradable waste and treat it in composing plants at ward level. Some cities have regulated how household dispose of waste. These regulations require each household to separate their waste before giving it up to the waste management companies. Rubbish disposal is not an everyday task but it can be a real hustle. Reducing, reusing and recycling is one of the best ways to manage garbage disposal. However, not all people are able to recycle. Some items need treatment before they are recycled for another use. This makes garbage disposal a tasking activity. If you are having challenges on how to dispose of your garbage, you can contact Paul’s Rubbish Removal. We offer complete rubbish removal solutions for residential and commercial areas in Sydney. For quick and easy waste removal at your convenience, contact us today. Book a service online & SAVE $50 NOW! Excellent service, quote given on the spot for major clean-up of household throw-outs. The team provides quick, efficient and courteous removal! Very satisfied customer. You guys are great, I’ll happily recommend you. I just wished I had found you sooner. I felt your price was a little too low when you quoted… so I didn’t think you would do such a good job… well done for proving me wrong. Paul, sensational job as always, love how easy you make it look. Definitely won’t hesitate in calling you again should either my family or friends need rubbish removed. Thanks again! 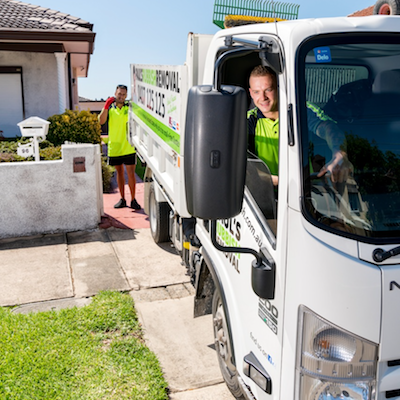 Paul's Rubbish has been in the rubbish removal industry for over 10 years. We specialise in residential rubbish removals, deceased estate clean-ups, building site rubbish removal and have worked in all local suburbs. If you have rubbish that needs disposing, Paul's Rubbish can help. Call us for a free quote today. Monday through to Sunday, all day .